Men With Bicycle Aroun Mountains Beautiful View. Royalty Free Fotografie A Reklamní Fotografie. Image 47237041. Reklamní fotografie - Men with bicycle aroun mountains beautiful view. 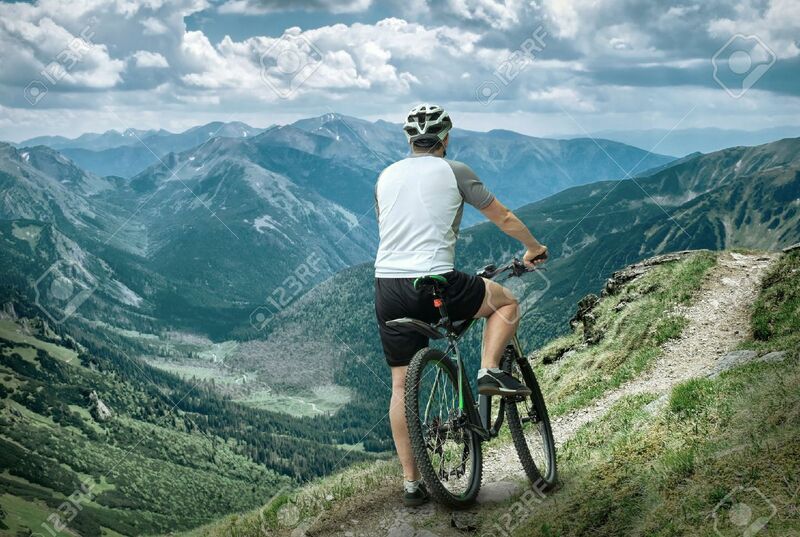 Men with bicycle aroun mountains beautiful view.